So far, the fires in Northern California have killed 42 people and destroyed several thousand homes. Strong winds and low humidity have helped make these fires among the most damaging in state history. The deadliest was the Tubbs Fire in and around Santa Rosa; 22 people died. Embers from that fire were carried in the wind and showered houses, spreading the fire rapidly in residential areas, according to Daniel Berlant, an assistant deputy director of Cal Fire. But the condition of forests and shrublands also contributed to how severe the fires were when they approached urban areas, says Brandon Collins, a research scientist at UC Berkeley. The fires gained intensity as they ran through mixed hardwood forests and slopes covered with chaparral, manzanita and other shrubs. Chaparral “is designed to burn pretty hot,” says Jeffrey Kane, an associate professor of fire ecology at Humboldt State. 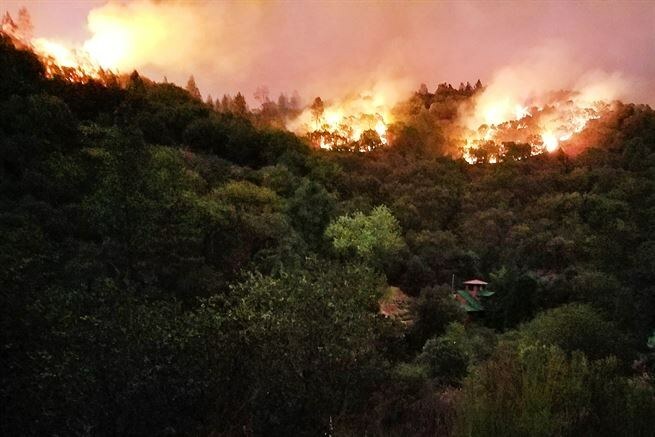 And both forests and shrublands were overgrown, choked with underbrush and small trees that provided a continuous source of fuel as the fires moved across the hilly terrain. Across the West, climate change is lengthening wildfire seasons and contributing to hotter and drier conditions that make landscapes more prone to high-intensity blazes. In a groundbreaking study published last October, scientists estimated that nearly half of the acreage burned in Western forests over the last three decades could be attributed to human-caused climate change.